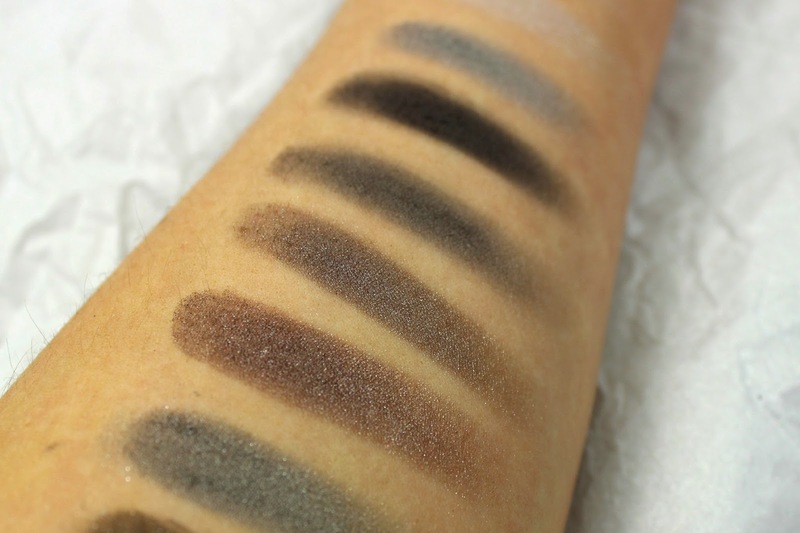 Who's not a fan of the classic black smokey eye ey? Looks good on everyone because it is so adjustable to your eye shape and is well - monochrome so it goes with everything, duh. A black smokey eye used to be my go-to-no-matter-where-i-was-going look (even though i've always worn dramatic make-up everywhere - why not?) and I found it to make my eyes look so intense and seductive. 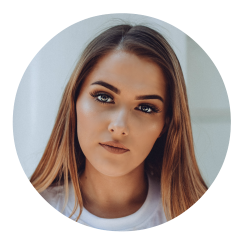 I was lucky enough to receive a few goodies to try out from W7 - an affordable cosmetics brand who i've worked with before; check that post here. 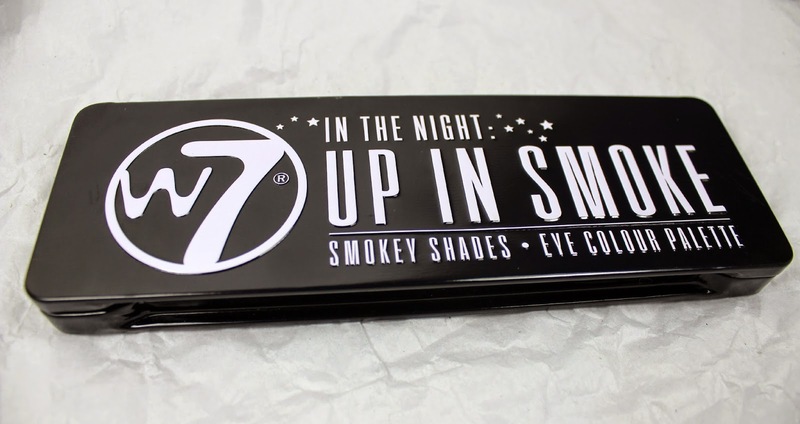 First off, i'm giving my full honest opinion and review, with swatches and demonstrations (tutorial) on the 'Up In Smoke' palette, which is so perfect for the handy night out make up look. As you can see the packaging is very similar to that of that of the infamous naked palettes from UD, the plastic tin is perfect as it can get cleaned up easily. I like how they've kept the packaging for this nice and simple with the monochrome look - nice and classic. Let's cut to the chase and look at the shades shall we? Okay, so we've got a good range of shades in here - I really like the fact they added in a light pink for a bit of a twist. The only critiques I have would be that there's only one matt shade which is a dark grey - some transition shades like a matt grey, matt lighter grey would have been a sweeter touch. 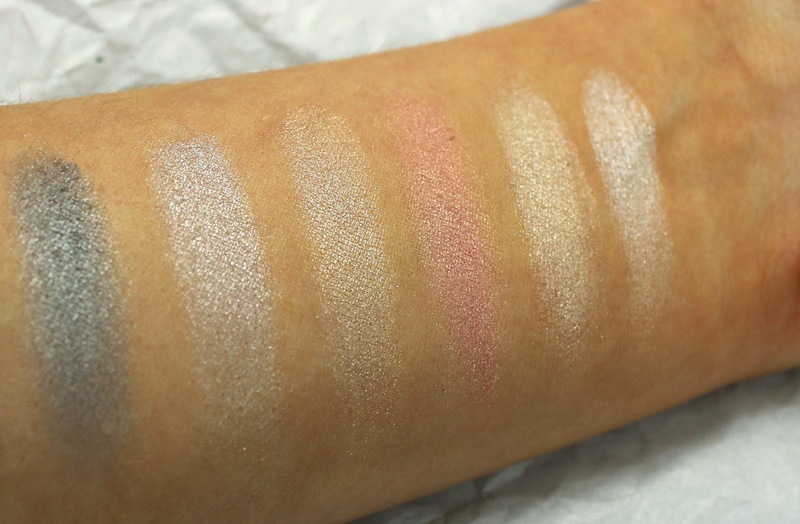 On the other hand, all the shades are gorgeous and the finish of the pearlescent ones (2nd picture down) are stunning.